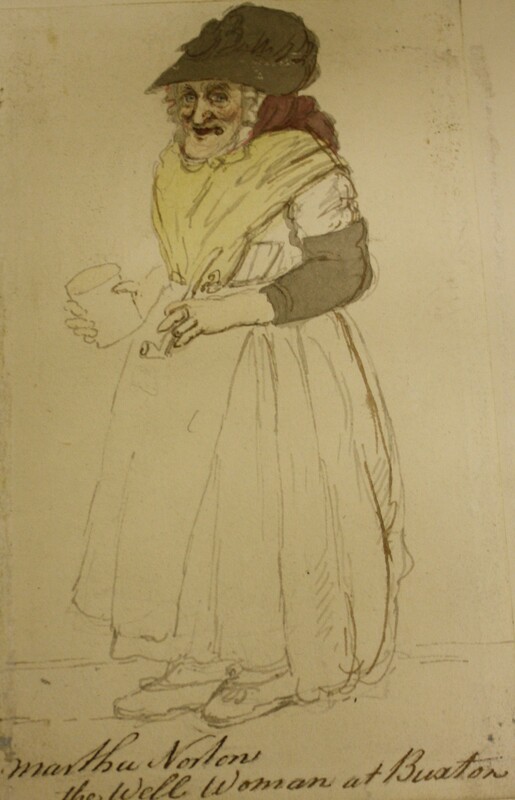 Buxton Museum’s recent purchase of the John Webber and William Day watercolours of Castleton has got us thinking. These two watercolours were drawn on the same day in 1789 and both show the same view but from slightly different angles. We have been playing spot the difference with them and this inspired us to put then up alongside other pictures showing similar views from different angles. 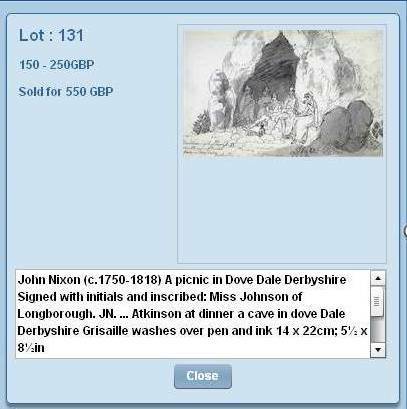 These pictures are on display on our newly repainted landing at Buxton Museum, and include 5 pictures that we have bought as part of the Enlightenment! project. These images should give you a flavour – please excuse the poor photography! 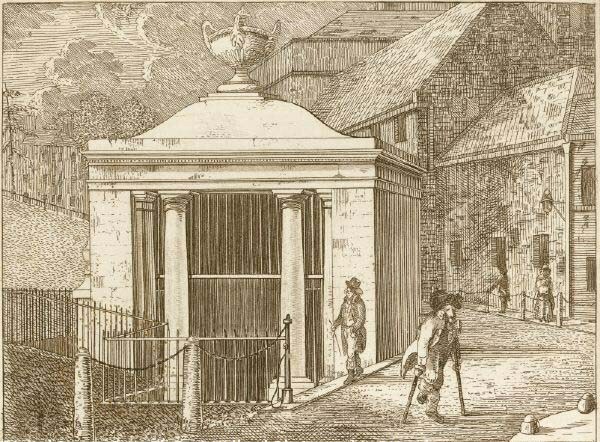 John Webber’s 1789 Castleton watercolour on the left and William Day’s watercolour on the right. John Bluck’s 1805 print of Matlock Bath on the left, and William Marlow’s 1780 oil of the same view. 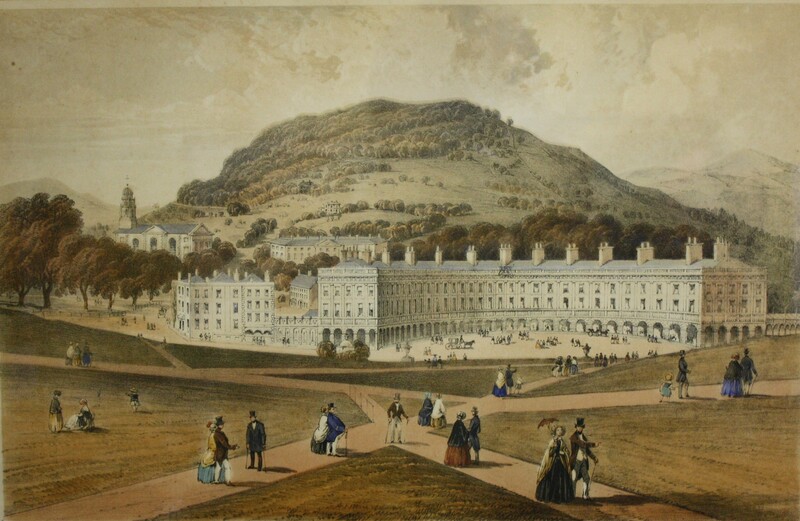 A lithograph of Buxton Crescent on the left and William Cowen’s 1850 watercolour on the right. 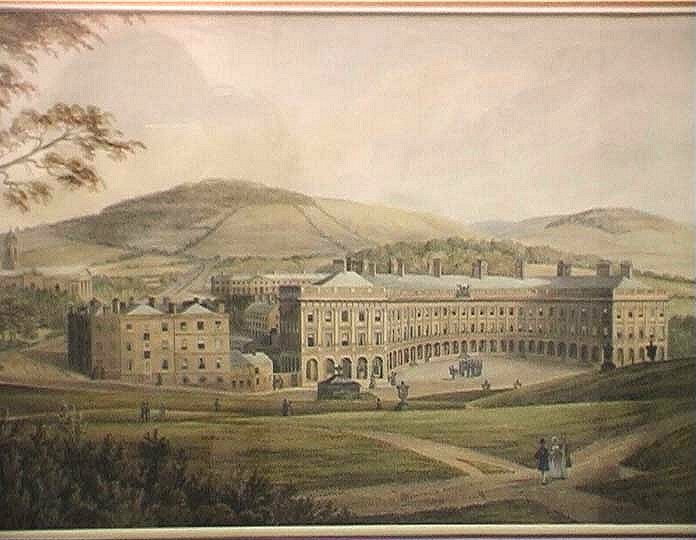 Godfrey Sykes’ 1850 oil of Buxton Market Place on the left and an unknown artist’s oil on the right. Buxton Museum and Art Gallery bought this enamelled patch box in January 2012. 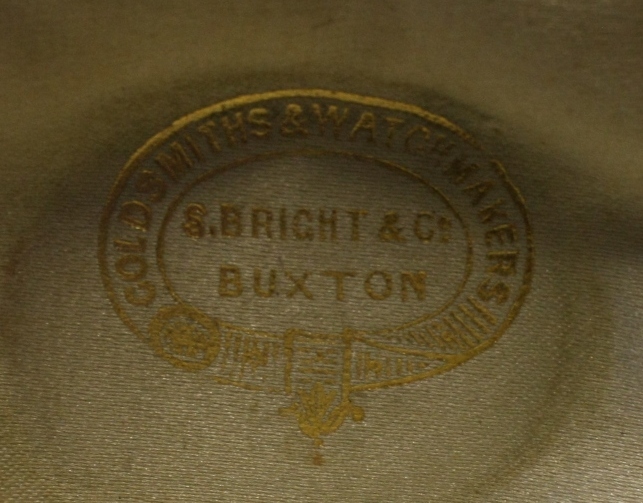 It dates from the late 19th century and has a transfer print of the Crescent in Buxton. 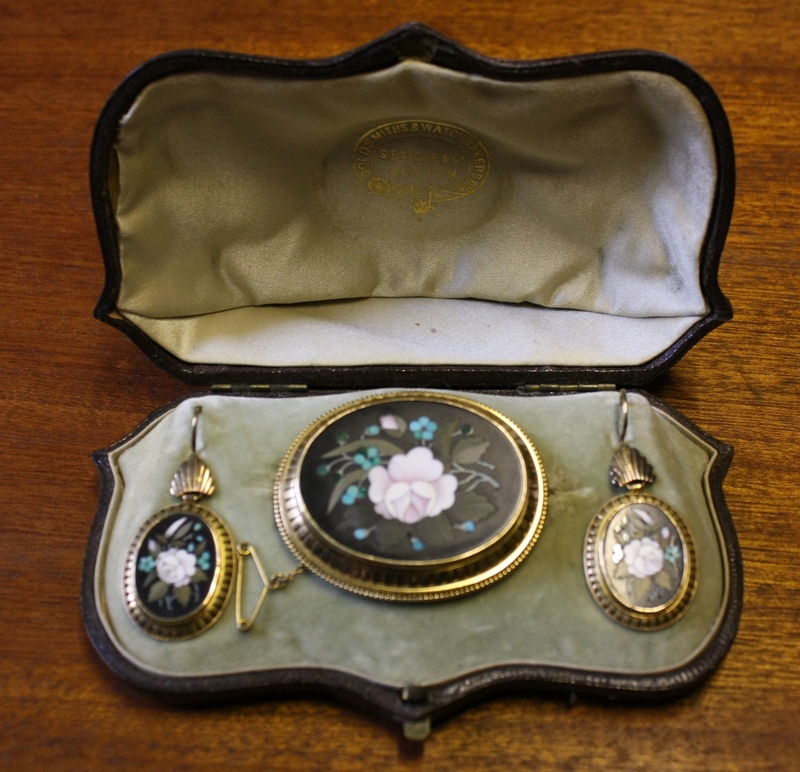 Patch boxes were used to store ‘patches’ which were decorative beauty spots used to cover blemishes, scars, moles etc. They ranged from purely functional paper or mole skin patches to highly decorative silk and satin ones which were cut into elaborate shapes such as hearts, stars and diamonds. 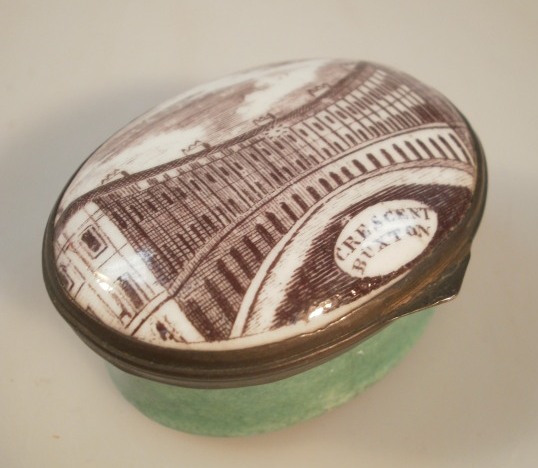 Buxton Crescent was a popular subject for artists and printmakers and features on a range of souvenirs from the period.